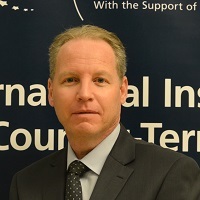 Dr. Hillel Avihaiholds a Ph.D. degree in aviation terrorism in the discipline of Politics and international relations from the Anglia Ruskin (Polytechnic) University (UK), and has joined the International Policy Institute for Counter-Terrorism in Herzliya (ICT) as a research member. Dr. Avihai specializes in the phenomenon of global aviation terrorism while investigating the sources and motives of this phenomenon, likewise, analyzing significant events and examining human and technological measures designed to confront the escalation of this phenomenon , as expressed on the events of September 11, the significant event that marked the passing from hijacking airplanes for the sake of negotiation (“rolling terror”) to using airplanes as a strategic emissary to crash them into designated targets (“immediate terror”). This Article discusses approaches to airline defense countermeasure systems in light of the emerging threat of Man-Portable Air Defense Systems (MANPADS). Technological and operational aspects, as well as ecomnomic costs of various countermeasure systems are presented in this comprehensive analysis of recent trends in passenger aviation defense. This article aims at discussing the aspect of aviation security, with regard to two security platforms. The first is the 'Human Eye' philosophy, which has been Israel's philosophy for decades until now, regarding the ability to detect suspicious passengers or potential terrorists (the profile method). Hijacking has become an archaic tactic, converting the hostages from being pawns on the terrorism chess board to dispensable targets. This is emphasized by the transition from 'rolling action' to 'immediate action'. 'Immediate action' is characterized by the fact that no negotiation takes place within the latter mode of air terrorism, unlike 'rolling terrorism', which refers to a negotiation process in which hostages are released after the release of jailed terrorists. This article will discuss the use of hijackings- from the bargaining chip of 6 September 1970 to a strategic agent of 11 September 2001.